Advocates for people with disabilities are questioning the accessibility of the Washington Metropolitan Area Transit Authority (Metro) and its proposed plan to make SmarTrip cards more easily obtainable to all riders, according to The Washington Post. 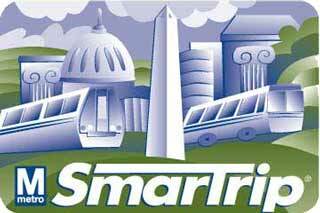 The Metro’s SmarTrip card is a permanent, rechargeable smart transit card. Riders simply touch the SmarTrip card to the circular targets on top of or inside station faregates. Likewise, they can the SmarTrip farebox on Metrobus to pay the fare with SmarTrip. Metro plans to make SmarTrip cards more accessible to riders by installing new vending machines at every rail station. However, disability advocates scrutinize the plan and explain the new machines are not expected to be immediately accessible to all people, especially those with limited vision. The machines, which are scheduled to make their debut in September, have no audio feature. Riders who are blind or have impaired vision or those with cognitive impairments may find them difficult, if not impossible, to use, disability advocates said. Metro officials responded, the transit system plans to have an audio prompt that will help people with hearing impairments installed on the new machines by sometime in the fall. It will be similar to ones used in automated teller machines. Also at that time, the new SmarTrip dispensers will be equipped with Braille decals.